It’s always hard to keep up with new music on a major festival weekend. Whether you’re at the festival, watching a live stream, or just taking advantage of LA being empty for once, you’ve got other things on your plate. Thankfully, going back now through my submissions, I found this one from NuKid and it’s curing my post-festival woes. “Lose Yourself” starts out as pretty much your typical house tune, with a kick and snare, four on the floor beat. But once the synths and bass come in, it proves itself a much more formidable endeavor. Blending some influence from bass house and acid house, “Lose Yourself” pulses and vibrates to an addictive melody. This one is out now Thrive Music, check it out below! Blueface and his son turn up with an excited crowd. Blueface's music isn't exactly kid-friendly. We're not sure what kind of lullabies the Los Angeles rapper is singing to his son at night but his 2-year-old son already seems to be quite the party animal. 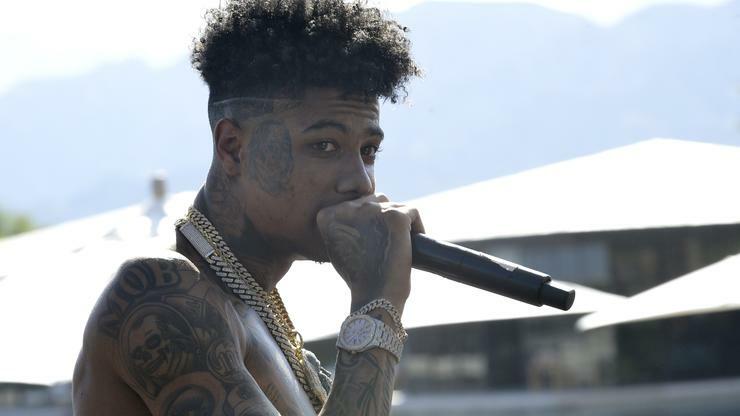 During a recent concert, Blueface decided to bring his little boy on stage with him, introducing him to the crowd as "Lil Blueface." The artist shared a video of the performance, including the sweet moment he gave his son the microphone. 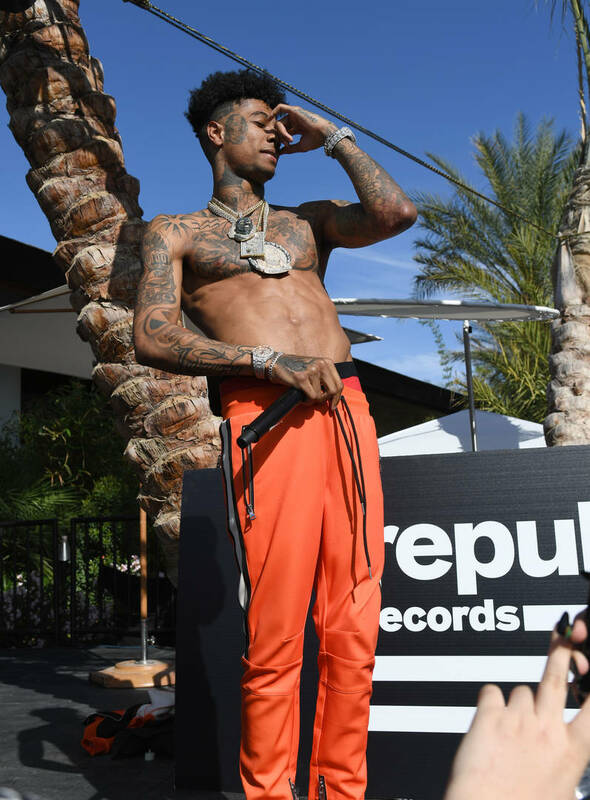 Blueface hasn't shown the world much of his son so it was a surprise to many to see the boy standing on stage with his pops during a recent gig. The rapper has been performing on a near-nightly basis, capitalizing on the major buzz he's gotten and ensuring that he's getting to his bag. The Cash Money West star danced with his baby boy, passing him the microphone even though he doesn't speak much yet. If you were expecting the kid to start rapping completely off-beat, you are unfortunately mistaken. Instead, he lets out a confused sound before his father asked his audience to make some noise for him. Later on in the show, the Famous Cryp showed off his solo dance skills while his track "Bleed It" played. Who do you prefer? Blueface Baby or Baby Blueface? In preparation for her 4th pregnancy with husband Kanye West, Kim Kardashian is doing everything in her power to ensure that her final trimester goes off without a hitch - which entails her ushering in a period of calm within the household. Kim learned these morale-building ways from her mother Kris, alternately an expert in the field of micromanagement. 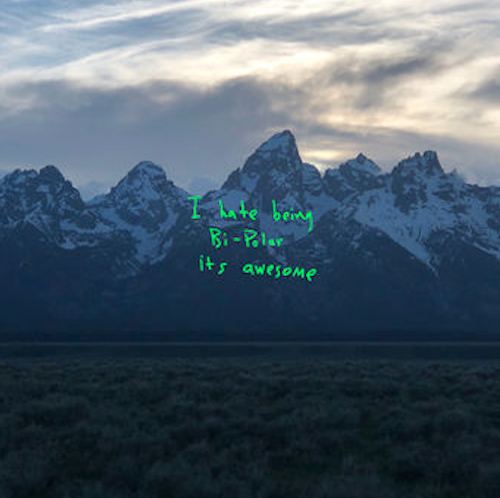 Just yesterday, Kim and Ye put this fam 1st motto into action by summoning the whole clan into their master bedroom. Kim's selfie post from 22 hours ago keeps with the institution of breakfast in bed, except instead of a western omelet, the West children indulged in cuddles and pretzel logic. The caption of the Instagram post simply reads, "Morning," in deference to the Teletubby sun child. After posting the image to her feed, Kim watched as action began to stir up within the comment section, mostly in the form of congratulatory from acquaintances and lessers knowns who understood the implications of the post, relative to her pregnancy news. Kanye's expression says it all: dad duty involves a lot of unexpected joys. Just recently, Kim admitted that only "low-intensity jobs" would keep her away from this family bonding experiment. "If there is work that is really easy that doesn’t take away from our kids, that’s like a huge priority,” she told the New York Times. “If someone was faced with the same job opportunities, I think they would maybe consider." As reported in January, the couple is expecting their 4th child in May. It would appear that both Kim and Ye can count on the public's overwhelming support in growing their family to an even number - even Winnie Harlow insisted that she'd love to be the family's baby sitter if and when applicable. Strangely enough, Kanye West looks a little uncomfortable in the photo, I'd assume because he isn't accustomed to living under such normal conditions. Here's to hoping he and the rest of the clan make the most of this pregnancy experience while it lasts. Kim is setting the tone for her 4th pregnancy with breakfast in bed. Drake reportedly FaceTimes his son every day. When Drake's son was revealed to the world by way of Pusha-T's "Story of Adidon," it got here as a significant shock to all people. Drizzy hadn't shed even the slightest of hints that he had a child, maintaining it secret for so long as he might. While he does not typically discuss Adonis, he reportedly speaks together with his son every day, bragging about how proficient the child is at one-year-old with all of his buddies. According to TMZ, Drake's is much more obsessive about Adonis than we thought. He not too long ago debuted some model new ink for his son, getting a tattoo of his face on his forearm. That's apparently not it with regards to the love he exhibits his child boy. Sources have instructed TMZ that Drake and his son have a really robust relationship. Although he does not get to see Adonis on a regular basis, he often organizes personal jets for Sophie Brussaux and his son to satisfy him. Paris wasn't an exception. There is reportedly no drama in Drake's relationship together with his child mama and he FaceTimes Adonis every day. The identical sources have stated that the rapper often shares pictures and tales of his son together with his family and friends, maintaining a photograph of Adonis as his telephone's screensaver. The little boy is already fairly good, studying a number of languages and taking after his mom as a painter. North West makes her journal cowl debut. 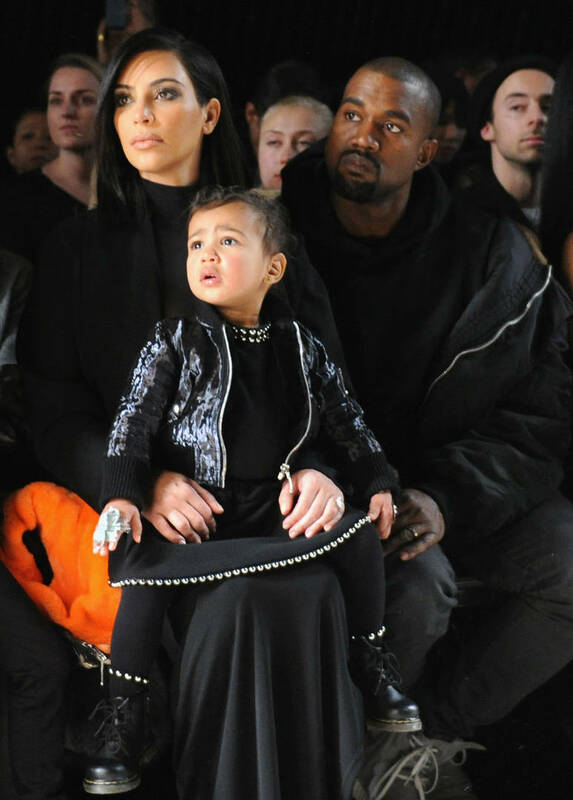 North West must be one of the trendy five-year-old on the planet. Considering who her dad and mom are, you possibly can't actually be shocked at that assertion both. Kanye West has been identified to design his daughter's garments from scratch, designing the vast majority of her wardrobe in order that she can keep contemporary. Kim Kardashian is not precisely a slouch both. She doubtless will not let anyone in her household stroll out of the home trying unpresentable so being modern is a should within the West family. Thankfully, North West has already confirmed to be a child's trend star and now, she's acquired cowl to show it. According to her characteristic in WWC's new Beauty Inc situation, North West is main the brand new technology by way of her trend selections. This second was at all times going to come back in the end however North West has made her journal cowl debut on the brand new situation, posing in her reflective boots and pink coat. As you'd anticipate with a five-year-old, the shoot was playful with bubbles, funky sun shades, and extra to maintain Northie entertained. She stuns within the remaining pictures although, following superbly in her mother and pop's footsteps and elevating the bar for her siblings to fulfill in a couple of years. Do you suppose that North West could possibly be a power within the trend world when she grows up? The singer's "Crown" comes from a spot of self-love and inspiration. Kelly Rowland dropped her newest loosie at this time. The self-love anthem is entitled "Crown" and produced in affiliation with Dove. The music in addition to it is accompanying video is supposed to encourage ladies to understand their unicity and empower themselves with that information of self-worth. Rowland additionally took to social media to unfold this message. The singer opted for a extra private strategy, sharing a childhood image and an uplifting message. "My Dearest Kelly," she wrote. "Let me begin by saying what a sensible younger woman you're, you have been born a Queen! And despite the fact that the world doesn’t present you sufficient lovely photographs of your self, you're considered one of a form, and don’t let ANYONE let you know completely different. "I wrote a music for you, about your 'Crowning Glory!' I hope you prefer it! I do know you don’t hear it a lot, how 'Beautiful Your hair is', your distinctive and numerous textures and colours, that make you UNIQUE and SPECIAL," she continued. "Just know, nobody wears your CROWN such as you Baby Girl! And you don’t need to appear to be ANYONE ELSE!" The open letter concludes with an encouragement to unfold the love: "P.S. Now go and inform each woman you understand the identical, she wants to listen to it!" Rowland is within the means of rolling out her upcoming album. Read extra concerning the challenge right here. Beyoncé received nostalgic in her newest throwback Thursday. It's laborious to imagine Blue Ivy Carter is already seven years previous. It feels prefer it was simply yesterday that Beyoncé and Jay Z took the world by storm with the distinctive title they gave their first born youngster. Since then, Blue Ivy has made loads of appearances alongside her well-known dad and mom, together with a hilarious journey to the Grammy's final 12 months the place she was seen telling her of us to chill it with the applause. Beyoncé just lately took to Instagram to indicate a facet by facet picture of herself on the age of seven and Blue Ivy who's seven now. Just these two images, the resemblance is putting. "Someone made this comparability of me at age 7 and Blue at age 7. My child is rising up. 🥰," Beyoncé stated. Blue Ivy has been killing it on her mother's timeline just lately. Just yesterday, Beyoncé posted a glamorous image of herself in a multi-color striped outfit in opposition to an identical trying wall. The singer revealed within the caption that the image was truly taken by Blue Ivy. At simply seven years previous, Blue already has the talents essential to change into an Instagram photographer. Check out Blue Ivy's pictures abilities within the put up under. The 15-year-old Bhad Bhabie has come a good distance from being the "money me exterior woman" from dr. Phil. Ever since she translated what was principally a meme right into a full-on tune, doubters have abounded (and with good purpose), criticizing her as simply one other reality-TV star, clout-chasing her strategy to the highest. But, say what you'll about her, she's nonetheless right here. She's bought a tune with Tory Lanez, just a few good strains with references that date earlier than her time ("gotta maintain the 9 like Rondo") and now, the beginnings of a Kardashian fortune. Last week she signed a $900,000 deal with an organization known as Copy-Cat Cosmetics. She will promote their merchandise on her social media and in her music movies (like she does above) and apparently, the day the information of the deal broke, the corporate made $500,000 in gross sales and in addition bought 500,000 visits on their web site. Not unhealthy contemplating they paid Bhad Bhabie solely $900,000 for six months of promotion. There's additionally hypothesis that she might get her personal line of cosmetics. When requested if she's coming for Kylie Jenner she merely stated, "I am simply doing my very own factor, if it will get larger than different individuals, it will get larger than different individuals." 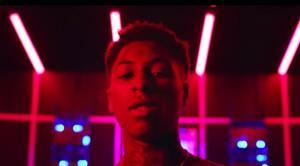 Just as the title depicts, NBA Youngboy throws on his space suit and heads out of this planet in this intergalactic visual (above). It follows up his latest video for “Highway” with Terintino. Check it out and let us know what you think. Until Death Do Us Part available now on iTunes.